At the start of 2016 I gave birth to my lovely baby girl. It is true what they say that you don’t understand the full depths of a mothers love until you become one yourself. My maternity leave is now coming to an end, and while I am excited to get back to designing and creating, I will be doing it part time so that I can take care of my daughter. With those changes I have restructured my work into a better balance, combining my graphic design work from Toastie Studio with my handmade creations from Handmade Cuddles. With the merge I am re-branding under the name ‘Lieve Designs‘. I am closing this blog, so no new posts or tutorials, but leaving my old content online so you can still view my old tutorials etc. And you are welcome to come join me at my new blog on Lieve Designs where I will be posting more design news, including free printables and tutorials. Look forward to the future with you all! 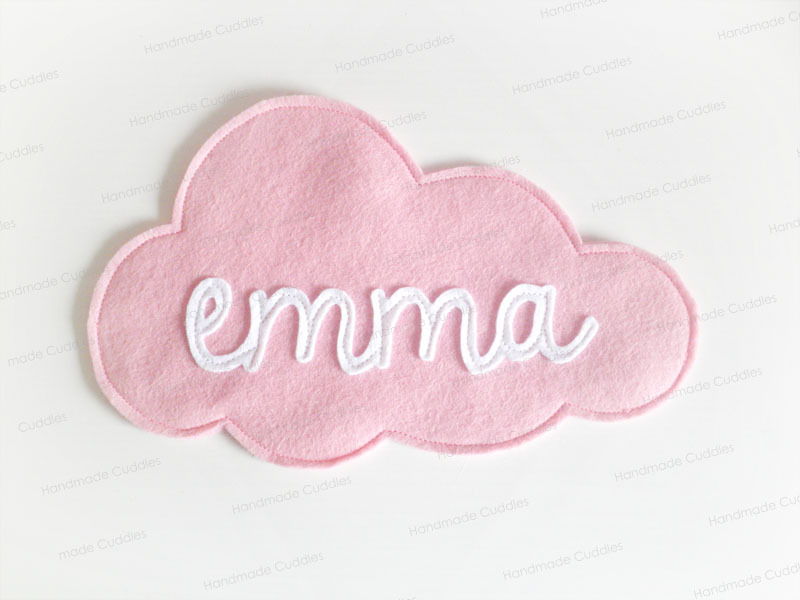 This entry was posted in Blog on November 10, 2016 by Handmade Cuddles. I always dream that one day I will have the time (and motivation) to make a quilt. I love the hexagon quilts I see popping up on some of the blogs I read and admire the time and patience it takes to cut and sew all those hexagons together. 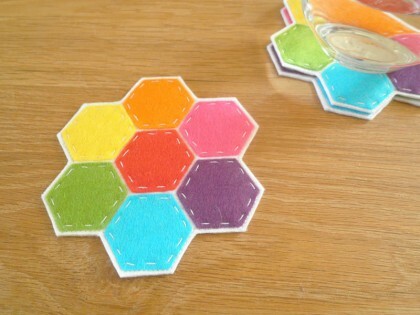 For now though I wanted to stay a bit more in my comfort zone and made these cute hexagon felt coasters. They are super easy to make, and you can make them your own by picking a colour scheme to match your personal taste and style. 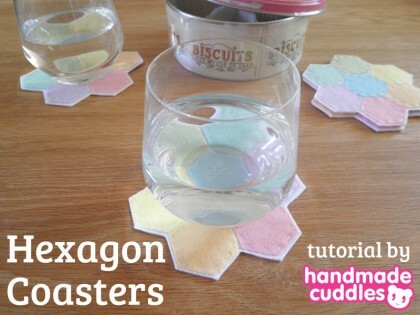 For each coaster you need 7 small hexagons. You can use the template (link above) to cut them out. Pin the small hexagons onto a piece of felt leaving a small gap (2mm) between each hexagon. 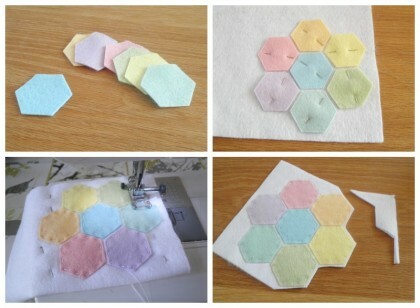 Handstitch around each hexagon to secure it to the backing felt. Add a second layer of felt behind the one you just sewed the hexagons onto and stitch around the outside of your hexagons (I used my sewing machine as it was quicker). Trim around your hexagons leaving 2mm of felt around the edge. And that is it! Repeat for however many coasters you need to make. 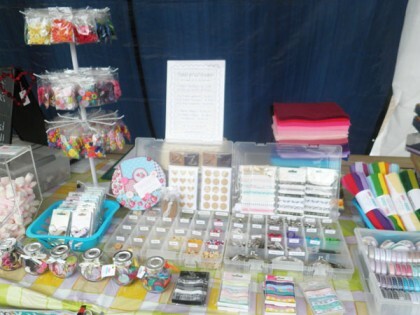 I also make a set in bright rainbow colours. What colours would you use for your coasters? 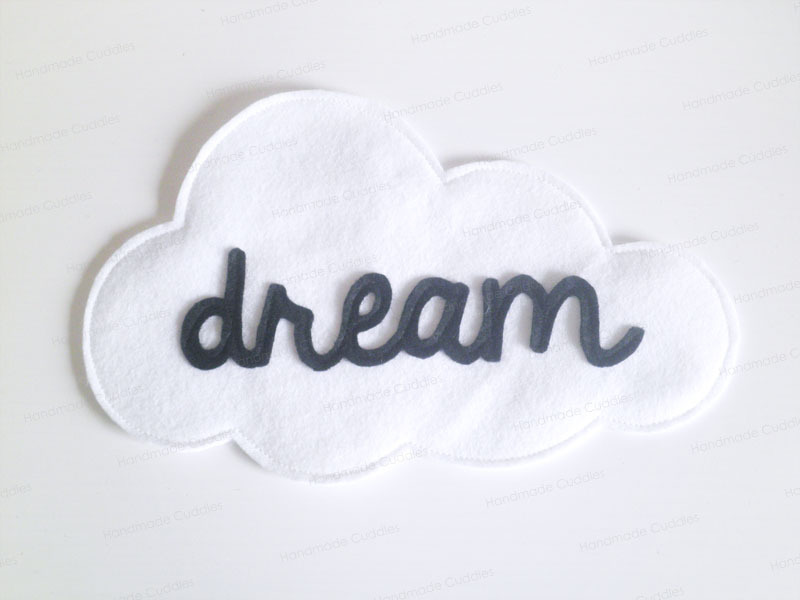 This entry was posted in Felt, Tutorials on June 11, 2015 by Handmade Cuddles. 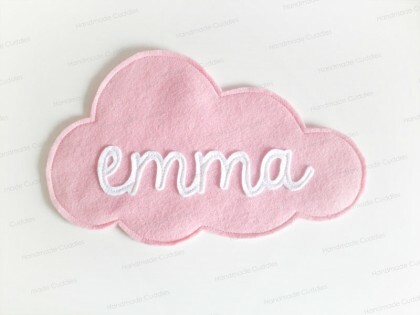 It has been a while since I shared a tutorial on my blog, but today I have a cutey for you! Felt – I used wool blend ready cut felt shapes from viltenknopen. 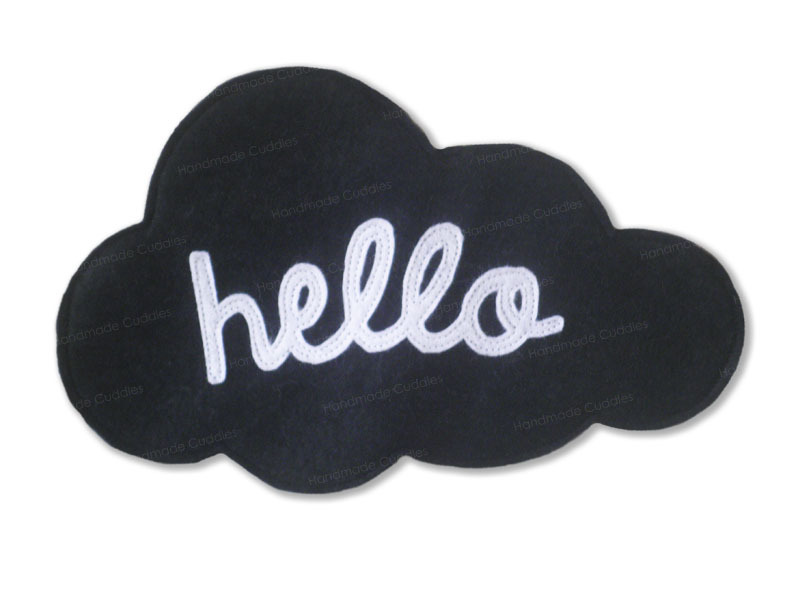 I used ready cut felt circles and heart for my keychain, but I also included a template for you to cut your own from felt. Cut out your felt pieces, you need 2 large circles, 1 small circle and 1 heart. Sew the heart onto the small circle, it is nice to use a contrasting thread colour. Sew the small circle onto the centre of one of the large circles. Take the other large circle, fold it in half, and snip a line about 1/3 of the way along, so you have a slit in the circle (to hide your secret message in). Put the two large circles together, add the ribbon folded in half at the top and stitch around the two circles. 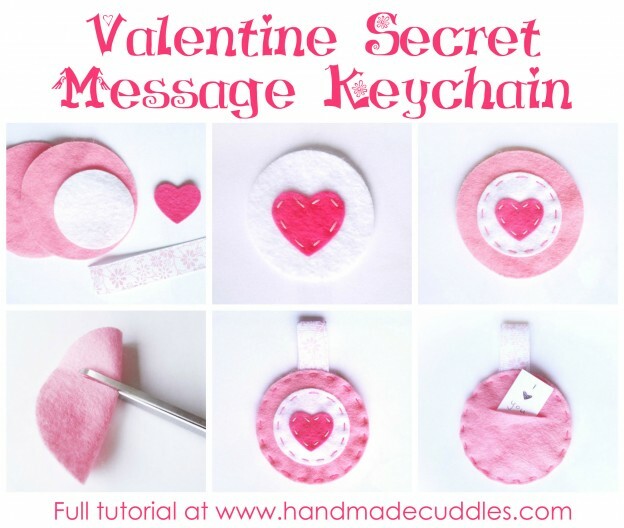 Add a keychain ring to the ribbon loop, and hide a secret message inside the pocket before giving it to your valentine! 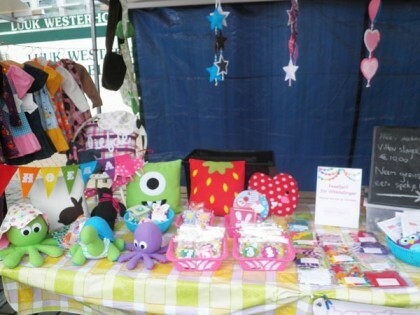 This entry was posted in Felt, Tutorials, Valentines on January 21, 2015 by Handmade Cuddles.